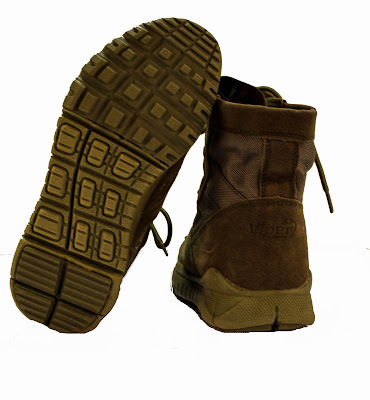 So I've got another review for you guys, this time on the Viper Sneaker Boot! 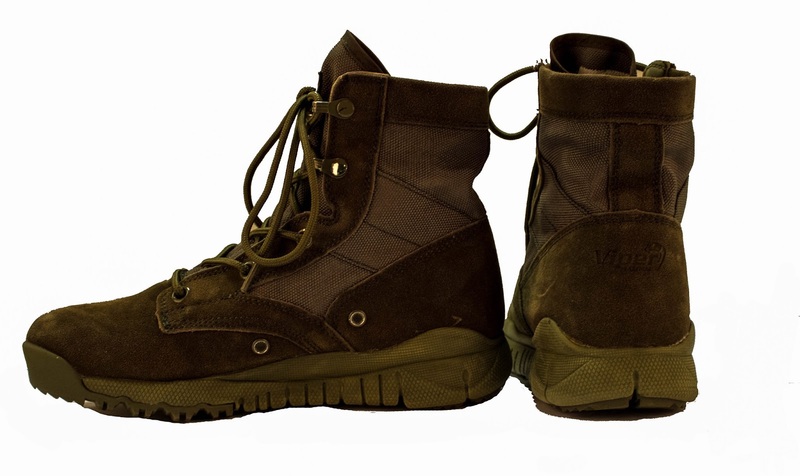 At HTIS Operation Blue Fox 2 in November I got to catch up with the team at Viper Tactical and we got chatting about their new products - one of which being their new Sneaker boot. I have spent the last few months testing these in game and after a good run, here's my thoughts! Back in 2014 I purchased a pair of the Viper V Cam Elite Boots and these have lasted the best part of 2 and a half years, from walking through rivers, falling down storm drains, accidentally standing practically on top of a 3 minute smoke grenade, getting my foot stuck in a rabbit warren, standing on a long nail and being faced with the wrath of my darling house bunnies these boots have well and truly been used, abused and they've held up fantastically. They cost less than £50 at the time so they were an affordable option whilst I was just starting out in Airsoft. 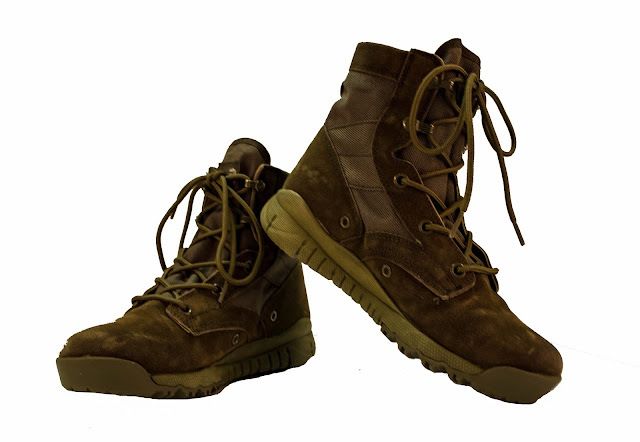 The Sneaker boot is exactly what it sounds like - a boot with an ultra lightweight sneaker sole. What I really like about the sole on these is that it's multi-sectioned for better manoeuvrability and fits to the contours of your feet better when walking/running on uneven ground. The sole has a good tread but isn't too thick which helps with the manoeuvrability. The sides and tongue are made of a durable cordura fabric with a suede finish so they are easy to brush clean. They also have a breathable instep (the area of the shoe that covers the top of your foot, fun fact I worked at a Clarks shoe shop for 6 years when I was at Sixth Form and Uni!) They come in 3 colours - black, coyote and green, I opted for the green colourway to go with my OD loadout. I like the aesthetics of the boot, the sneaker look makes them look casual and is different to the usual combat boots/walking boot look we typically see. As for size, they come in UK 6-12, I typically wear a size 5 boot for Airsoft but because these have a sport fit and are not too generous in size it is recommended you go one size up, so I went for the size 6, it fits well and still has room for a thick sock. If you have smaller feet though I would say they would be a bit too long on the toes. I would love to see these available in smaller sizes! I found the boots to be comfortable all round and they were pleasant to wear during CQB but during Op Blue Fox I did find my feet got a little wet. The only downsides to these boots is that they don't offer a lot of ankle protection because of the nature of the boot and they aren't waterproof so I wouldn't recommend them for wet and muddy woodland games. The boots can be made water resistant with a waterproofing spray that you can get from most shoe shops/outdoor shops. I feel like they are more suited for CQB environments where trip hazards and wet/muddy ground aren't really an issue. In regards to price, they have an RRP of £40.00 which is pretty reasonable. Overall, I really like the look of the boots, they are affordable and comfy but I would recommend them for CQB use rather than an all rounder boot!